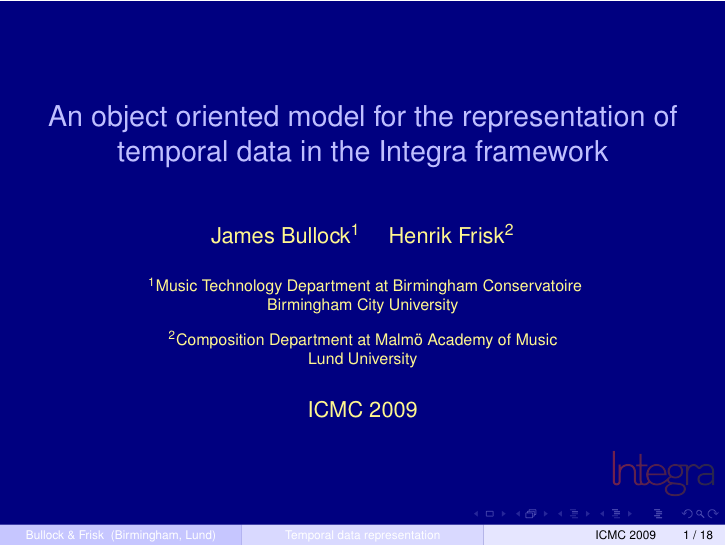 I will be presenting the paper "An object oriented model for the representation of temporal data in the Integra framework" at ICMC in Montreal on August 16. The paper is co-written with Jamie Bullock. Download the slides. The paper is about representation of time in the Integra framework, and we propose an XML based storage format for this data. The ideas presented in this paper is the result of several years of discussions. ICMC 2009 is organised by the Schulich School of Music of McGill University in Montreal, Canada.